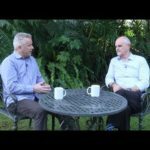 A COP23 special: How will countries be paid for REDD+ results? 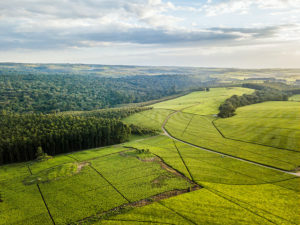 In early October, at its 18th Board meeting in Cairo, the Green Climate Fund (GCF) adopted its latest policy related to the UNFCCC policy framework known as REDD+, this time a USD 500 million envelope accompanied by a detailed and comprehensive process for countries to seek results-based payments (RBPs). GCF Board members and a select few advisors, GCF staff and consultants worked well into the late Cairo nights to complete one of the key pieces of the UNFCCC policy framework to pay developing countries to reduce emissions from the forest sector. The GCF has now put in place a pilot program that will run until the end of 2022. Putting it into practice will require a minimum of three concept notes from three countries. The most likely countries to meet this requirement include Brazil, Peru, Malaysia, Mexico, Colombia and Costa Rica — however, Brazil is the only country that has finalized all the technical processes required by the UNFCCC at this point. To ensure a fair allocation of funds, no country can seek more than 30 percent of the total envelope set aside; in other words, no more than USD 150 million. The GCF has put a value on carbon from REDD+ at USD 5 per tonne and a scorecard assessment procedure will determine whether proposals can be made and how much a country will be paid, including a potential 2.5 percent bonus for non-carbon benefits (NCBs). Access to payments from the GCF will be through Accredited Entities (AEs), who are required to coordinate with national-level REDD+ Focal Points and the GCF National Designated Authorities (NDAs). Proposals will be assessed against extensive criteria provided in a scorecard — which was the focus of much of the negotiations. Some major forest countries felt the scorecard was too onerous, placing too great a burden on countries and at one interval during the Board meeting, the member for Antigua and Barbuda expressed a concern that no country will be able to pass the process that is being put in place. The assessment process is split into two stages, the first being a concept note stage and the second being a full proposal to the Board for approval. There are also some important differences related to the application of the policy concerning past activities that have led to the results, and future activities to be undertaken using the GCF funds received. Written consent of the REDD+ Focal Point and a letter of no objection from the NDA of the relevant country. The concept note will be assessed by the Secretariat against the criteria in Section 1 of the scorecard, which is relatively basic, for example, provision of evidence of the existence of a SIS. All criteria are required to achieve a ‘pass’ for the country to be invited to make a full proposal. Countries considered to be eligible, based on the assessment of the concept note, will be invited to submit a full proposal through their AE, which will be assessed against the scorecard. A variety of scoring methods are used, including a ranking of 0 to 2; pass or fail; and fail or score. The use of the criteria and how they apply to the different components was a core part of the behind-closed-doors negotiations. A fail on one criterion will result in an overall fail and no payment made. In addition to the information provided in the concept note, countries will need to provide the following information. The report of the BUR’s technical assessment: As one of the more technical areas, the scorecard on this matter seeks to ensure there is consistency between the proposal and the country’s greenhouse gas inventory, and in the definition of ‘forest’ that is being used. 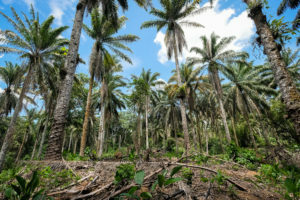 It will consider whether the FREL/FRL is consistent with guidelines provided by the COP and the IPCC, and whether it is based on historical data, and will provide a method for adjustment for countries that have consistently maintained high forest cover and low deforestation rates. The scorecard also considers whether the data are transparent and whether all of the most significant pools and sources of emissions are included, and seeks information related to any significant issues raised by the UNFCCC’s technical assessment report. The technical Annex to the technical assessment: The GCF will seek information concerning consistency between the BUR and the FREL/FRL as well as whether the data and information provided are transparent, complete, consistent and accurate, with each of these elements clearly split out in the scorecard requiring their separate assessment. Alignment with the GCF investment framework: The scorecard provides for a different ranking system here, which involves a high, medium or low evaluation, considering: impact potential and the potential for the program to contribute to the GCF objectives; paradigm shift potential, and whether REDD+ activity will catalyze impact beyond the one-off program; sustainable development potential and wider environmental, social and governance benefits; needs of the recipient, such as vulnerability and financing needs; country ownership; and efficiency and effectiveness, including the financial soundness of the program. The seven Cancun Safeguards: The Cancun Safeguards are addressed individually in the scorecard and ‘pass or fail’ criteria will be applied. The scorecard seeks to ensure that the summary provides information on how each of the safeguards are addressed and respected in a way that ensures transparency, consistency, comprehensiveness and effectiveness. However, these items are not given separate treatment as is the case for FRELs/FRLs, and this will need to be addressed in the guidance. If a country cannot provide information to enable the assessor to understand how each of the safeguards has been addressed and respected, the application will fail. Evidence is required that safeguards information has been made transparently available to stakeholders. The Environmental and Social Assessment: In addition to the information on Cancun Safeguards, funding proposals are required to include a due diligence report prepared by the AE together with the host country. This due diligence report will contain assessments describing the extent to which activities undertaken in the past leading to the results are consistent with GCF policies. In this context, applicants will need to provide an Environmental and Social Assessment (ESA). The scorecard applies a ‘pass or fail’ evaluation to whether proposals are consistent with the GCF policies, including the Environmental and Social Safeguards (ESS), currently using International Finance Corporation standards, the risk management policy, the gender policy, monitoring and evaluation, and prohibited practices. This ‘retroactive’ application of GCF policies was a major concern of the parties in the negotiation. The indigenous peoples policy, which has not yet been agreed upon by the GCF, is not specifically mentioned except in a footnote to say it will apply through the Cancun Safeguards and the GCF ESS for activities that have been undertaken in the past. The ESA will need to show how environmental and social risks have been identified, assessed and managed, and how activities comply with national requirements. The ESA will be taken into consideration by the Secretariat in its second-level due diligence and the Independent Technical Advisory Panel (ITAP). The ESA will also include a description of how stakeholders were identified, informed and consulted, and how they have participated, including any concerns and issues raised. The relevant grievance redress mechanisms will need to be be described, as well as describing complaints received and their resolution. No transfers or offsetting: Applicants will need to provide evidence that emissions reductions being paid for by the GCF will not be transferred, offered for payments, or used for other purposes, including offsetting. The results paid for will not be transferred to the GCF and will no longer be eligible for any other arrangement. Countries will also need to show that no other party has a competing claim. Use of proceeds: As a major forward looking component of the policy, the proposal will be required to include a description of how the use of proceeds will be consistent with GCF policies, including the ESS, the gender policy and the soon to be agreed indigenous peoples policy, and meets the requirement that the proceeds will be used to implement to the country’s Nationally Determined Contribution (NDC), national REDD+ strategy and/or low-carbon development plans and policies. Information will be sought as to the use of funds to contribute to the long-term sustainability of REDD+ activities, including NCBs, as well as to facilitate management of financial, technical and operational social and environmental risks, among others. Countries must provide a description of the use of proceeds, including activities to be conducted, stakeholders involved and timeframes, consistent with GCF policies. Documentation concerning the use of proceeds may also include a benefit-sharing plan, however, this does not appear to be mandatory. Other information required: Other information will be required, including: additional information related to safeguards; an indication of expected results in subsequent years; how different financing contributed to the achievement of the results to ensure there is no double payment; information related to NCBs; and how a country intends to scale up sub-national REDD+ to national. Once the Secretariat provides its second-level due diligence, the ITAP will undertake its assessment. The ITAP assessors will be drawn from UNFCCC-accredited land use, land-use change and forestry (LULUCF) experts, as well as selected REDD+ experts. The Secretariat will then provide a recommendation to the Board, which will make a decision based on the second-level due diligence and the ITAP assessment. Once approved, legal arrangements will be entered into through a Fund Activity Agreement (FAA), and the GCF has the right to seek repayment of funds where activities are found to be inconsistent with the requirements, including GCF policies, and premised largely on information obtained through a yearly simplified reporting process. The fund may also investigate proposals made. The Secretariat will now develop templates for the concept note and the full proposal, as well as guidance for NDAs and AEs to make their applications. It is expected that much of this material will be provided by December 2017, and we can expect to see proposals made during 2018. The guidance will need to cover areas such as the simplified reporting process, as well as information on how to apply the scorecard, for example, to ensure that each of the safeguards are adequately assessed and respected in a way that is transparent, consistent, comprehensive and effective. It will need greater clarity on how to assess NCBs and on the powers of the Fund when undertaking investigations, for example, the power to make site visits and obtain confidential information. Analyses of experience and progress made to achieving objectives will be undertaken over the next two years and presented to the Board by the last meeting in 2019. As it is likely that the GCF will set the standard for REDD+ going forward, it will be important to research, track and analyze the way this process is implemented to inform new improvements on policy development expected to occur toward the end of the pilot. 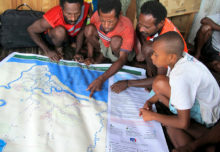 The level of documentation that will be generated through the AE submissions, the Secretariat’s due diligence, the ITAP assessments and the Board deliberations will provide new insights into the ways in which countries are implementing REDD+, and it will be important that the GCF ensures this information is publicly available. When the final proposed decision was put to the Board, it was welcomed by most of the Board members. The Board member for Nicaragua expressed satisfaction that this decision will attract private sector investment in REDD+. The Board member for Germany expressed his continued hope that the GCF will set a ‘gold standard’ for environmental integrity and robustness through REDD+ and that proposals will need to be considered closely for their transformational potential, including improvements to reference levels and preventing leakage. The Malaysian Board member considered that the GCF is now in a serious mode to show the world that countries are able to reduce emissions with good forest governance, and the United Kingdom said the outcome was very much in the spirit of compromise, and was pleased to see the 2019 review built into the decision, expecting to build a more robust system in the future. South Africa, however, would not support the decision. The indigenous representative for observers expressed dissatisfaction at the lack of inclusion of the indigenous peoples policy for events that have occurred in the past, and sought a commitment from the Board to approve the indigenous peoples policy at the next Board meeting in early 2018, after its postponement in this round. As has been the case throughout the REDD+ negotiations for the past decade, this process again placed most emphasis on carbon. 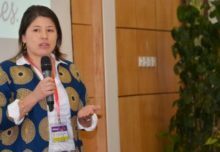 Indigenous representatives felt that the subject of rights was not given adequate attention, and were deeply disappointed that the indigenous peoples policy was not prepared in time for this meeting. The fact that the policy was not a part of the package at B.18 may have contributed to its weaker references in the REDD+ outcome. 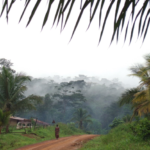 This carbon focus raises important questions concerning priorities associated with REDD+. Studies are consistently showing the importance of tenure and rights to REDD+ implementation and a recent study has now also identified potential human rights violations associated with the efforts to achieve the REDD+ objective. The REDD+ discourse needs to shift to more emphasis on the subject of rights. This is an issue that will consistently come up throughout efforts to implement REDD+ policies unless it is properly addressed. 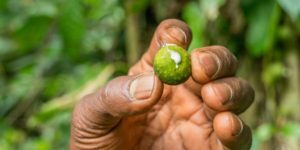 The GCF has a unique opportunity here to make a significant contribution to changing the discourse to a rights-based REDD+ and treating indigenous peoples as rights holders rather than stakeholders, which would be consistent with the Paris Agreement. In doing so, the GCF would be seen to be contributing to transformational approaches to halting and reversing forest loss, and may then be on a pathway to calling itself the ‘gold standard’ that Board members hope for. However, this is not yet the case, and the next important step in the GCF’s efforts to promote a paradigm shift in relation to forests and climate change will be to approve the indigenous peoples policy at B.19 in early 2018. For more information on this topic, please contact Stephen Leonard at s.leonard@cgiar.org. 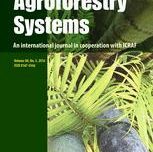 This research forms part of the CGIAR Research Program on Forests, Trees and Agroforestry, which is supported by CGIAR Fund Donors. This research was supported by UKaid from the UK government.